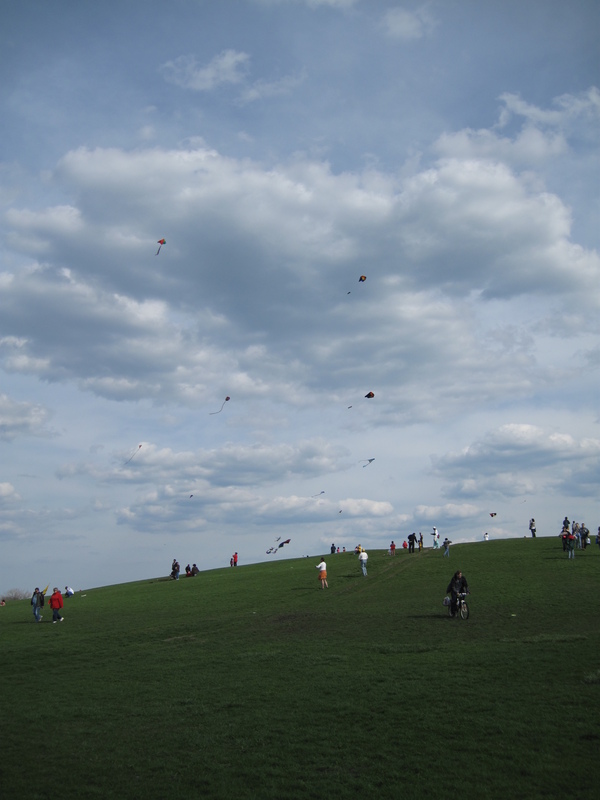 People gather on a hill in the park near Montrose Beach to fly their kites during the annual “Mayor Daley’s Kids and Kites Festival”. The festival allowed kids to assemble their own kites and fly them on a grassy expanse at Montrose Harbor. Mayor Daley’s Kids & Kites Festival features six free hours of kite-flying fun, as well as face painting, crafts and balloon artists. Just another fun thing that happens as the weather warms up for the summer. This entry was posted in Amusement, Beach, Chicago, Life, Parks. Bookmark the permalink.